Blog Update and a new Home! Also, a BIG giveaway! 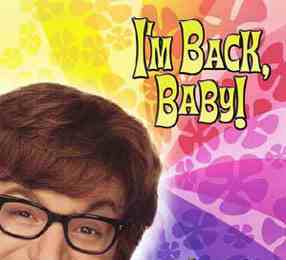 As many of you know, I have kind of shut down the blog due to personal commitments as well as a new job. The main reason for this was that I believed that I could not really find the time to keep up the blog. While speaking with Alexia, a very dear friend, we game up with an ingenious and perfect plan to relieve some of the pressure of blogging and also allow me to continue doing what I love. So, without beating around the bush, here is the announcement! I will be joining Alexia’s blog, ‘Alexia’s Chronicles‘ as an associate blogger. I will continue to do everything I did here, but will be relieved from micro-managing a blog. Also, Alexia’s Chronicles has just received a major makeover. To celebrate both these big events, I am sponsoring a huge giveaway there. So, come one over, say hi to me there, and take part in the giveaway. I know all of you used to love my giveaways, and this one is the best one I’ve had, ever! 2 winners will get an ebook of their choice up to a value of $6.99! Come see my new home, and enter the awesome Giveaway! Please come on ever and support me in this new endeavor. And, remember to follow me there by email, to receive updates of all my posts. Oh, do leave a comment telling me you’ve come over from “Ritesh Kala’s Book Reviews”. I’ve gotten to know a many of you, but there are still a few of you I don’t know too well, and I intend to change that! As I said before, all my reviews will be posted here as well, so this blog is definitely not shutting down. I know this is not the usual genre I read, but what can I say!? I love the Nate Rocks series! They make me feel like a child again, and that is always a great feeling to have. And, I love the adventures Nate goes on. But, the real reason I love these books is that I find myself comparing my childhood to Nate’s and loving it. OMG, when did I become so old, that I am starting to reminisce about my childhood? Oh well, if you are a person who is young at heart, you need to check out these books, and what better way than to win the second book, and read it for free? 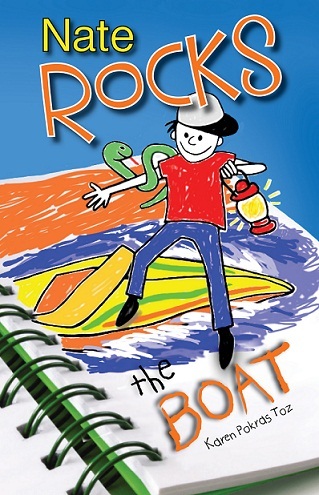 You can win one copy of Nate Rocks the Boat, and the giveaway will be open till May 17th! Nate Rocks the Boat: Welcome to a new adventure with Nate Rocks! In this book, we may get less of Nate Rocks’ adventures and more of Nate’s adventures, but, this … —–> Continue reading the review! Nate Rocks the World: I really did not know what I was getting into when I picked up this book to read. The only thing I knew … —–> Continue reading the review! Following me on Networked Blogs gives you 1 (one) additional entry. Entries will be open till May 17, 2012. I started blogging recently and posting my book reviews online. I have come in contact with lots of authors through a number of online websites and social networks. Through these interactions, I have seen authors trying everything they can to promote their books. While some of these things have appealed to me as a blogger as well as a reader, others have fallen short of really grabbing my attention, and there are still others which have left me seething in anger. This is a list of things that work for ME. I’m not saying you should do any of these things as I am but one person with whom you’ll be interacting online. I also don’t profess to know what I am talking about, so continue at your own risk! They are a great way to get a concentrated marketing boost as all the bloggers in the tour spread the word about the book and help authors reach their readers. Tours can be arranged personally by the author or be outsourced. Each has its benefits and drawbacks. By personally arranging it, authors get to interact and build relations with bloggers and it does not cost anything. By doing it professionally, authors save time and effort, but end up paying for it and lose the chance to interact with the blogger community. The story of Generation follows Hendrix Harrison who is a reporter for a paranormal magazine called Strange Phenomena. Hendrix starts investigating ghost sightings and he is pulled deep into a mystery which is far bigger then he initially realized. As bodies start disappearing and Mendel Pharmaceuticals starts taking a particular interest in this, the mystery deepens. Sarah Wallace, who is an entomologist and is the head of the research facility from where the bodies have disappeared, also gets involved in the mystery. Sarah soon finds that the mystery is far more sinister than initially imagined. As both Hendrix and Sarah start to dig deeper, a story of corporate greed and a drug trial gone horribly wrong starts developing. With neither of them willing to let go and Mendel Pharmaceuticals hell-bent on protecting its investments, a clash between “David and Goliath” begins. They have to race against time and unknown enemies to solve the mystery in time to stop Mendel from launching a suspect treatment which would have global implications.